I confess, as I become stressed while embarking on the journey of putting my oldest in school and prepping for the financial sacrifices that are ahead of us, I just ate an entire pint of Ben & Jerry’s Phish Food. Seriously. In one sitting. Yes, I just finished eating an entire pint of Ben & Jerry’s ice cream. Some folks exercise when they are stressed. Me? I make quick runs to the grocery store, sing Richard Marx songs and eat ice cream (among other items of the junk food family). Oh, and I cut my hair. I am so glad I am normal. Or – wait. Is it abnormal? Whatever. My life is pretty sweet now. I find I have time to tackle the tasks that need to be tackled. Ironically (not), I seem to lack the motivation to tackle the tasks. Moreover, when I tackle the tasks with little to no scheduling conflicts, it is easy to buy into the myth of being balanced. 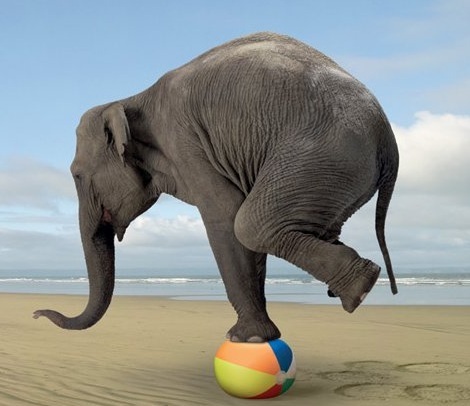 However, throw in some real life consisting of last minute changes, impromptu doctor visits, spontaneous car mishaps and a case of the Chicken Pox, and it becomes clear that the thing called ‘balance’ is best used when talking about ball or circus tricks. Next week, and the four to six weeks that follow, will surely solidify my belief that the term ‘balance’, when applied to multi-tasking Moms and Dads, is a myth. While working, making it to various appointments, keeping the house stocked and cleaned, I will be taking my boys to swimming lessons 5 days a week for the next four to six weeks, depending on how fast they learn. Their classes are 10 minutes long, starting at 11:10 a.m. and 11:20 a.m. Though the time at the pool will be short, relatively speaking, it will create a ripple effect each day, which will make the next several weeks increasingly challenging. A prep for the school year, perhaps? As I brace for the impact of next week, becoming more involved in this new phase of life, I wonder how my family and I will keep it together. How often are you suppose to change the bed sheets and bathroom towels? Is it OK to recycle your underwear, as the laundry becomes backlogged? How dark can the ring around the toilet bowl get before it is considered gross? And, I have to attempt to find balance? Really? Not going to happen. Searching for ‘balance’ only leads to frustration. In fact, I think finding the Loch Ness monster would prove to be an easier find than balance. I hear Scotland is quite lovely this time of year; however, I won’t try to fit that trip into my schedule. After all, we have money to save, tasks to tackle and junk food to crave. P.S. I have another pint of Ben & Jerry’s in the freezer: Stephen Colbert’s Americone Dream. Look, it was on sale 2 for $5. I had to buy two. And yes, you’ll find me eating the entire pint in the closet tomorrow, after having just registered my son for Kindergarten.